Red Carpet Video – Cinematic Wedding Films are very proud to have filmed this fabulous wedding of Rachelle Perez-Noon and Karl Noon at Soughton Hall, on Saturday 6th June 2015. 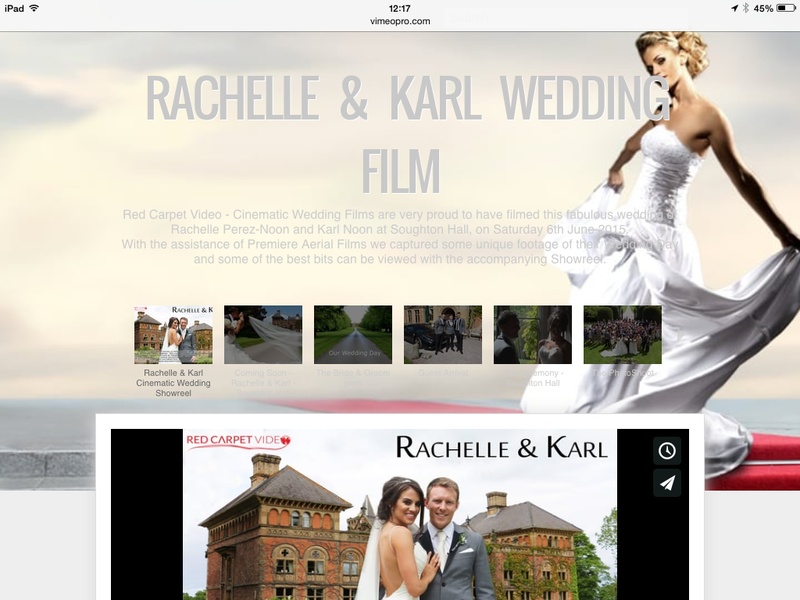 Within 2 weeks we provide a short 1 minute Coming Soon Trailer, great for when you get back from honeymoon. See Coming soon trailer below. 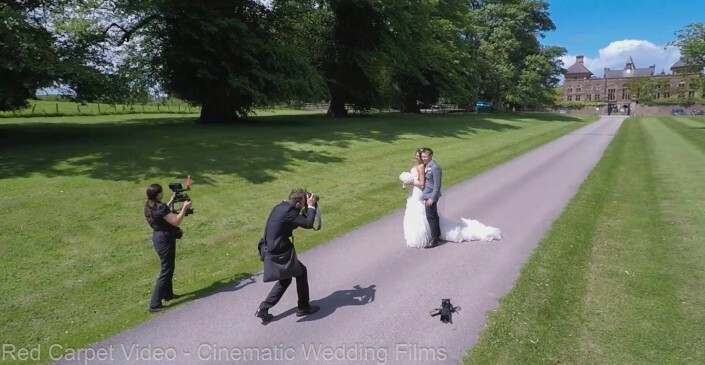 With the assistance of Premiere Aerial Films we captured some unique footage of their Wedding Day and some of the best bits can be viewed with the accompanying Showreel. 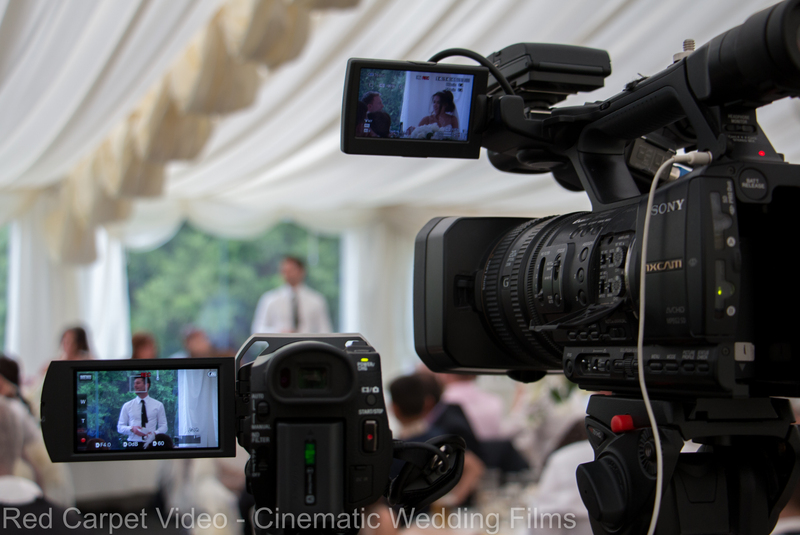 Our equipment included our latest 4K Sony Ax100 video camera, Sony A7, Besteady and Go Pro hero 4 on the Phantom 2 plus Seinnheiser microphone and Zoom. Not forgetting our latest 360 Ricoh Theta 15, providing a whole new perspective. In addition to our Canon 70D and regular Sony Video cameras. With just the film crew Brian and Tracey we believe we captured the atmosphere and special memories of the day to cherish forever to share with family friends, children and grand children in the future. Music licensed by PremiumBeat – Little Miss Sunshine by Reaktor Productions. 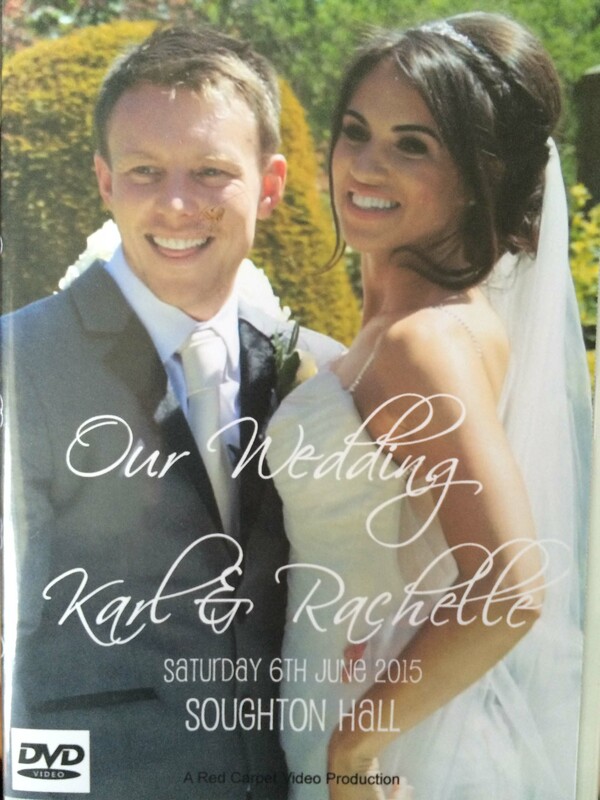 A few words from the happy couple after receiving their DVD’s. “Just wanted to say a massive thank you we have just had a wedding party to all watch the DVD you made us and it was AMAZING! We were in tears laughing watching all the unseen extras, you have captured some amazing moments and ones we will certainly treasure for the rest of our lives. 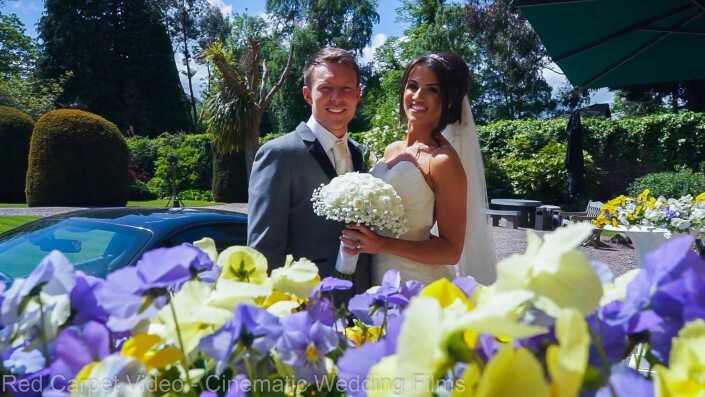 Thank you again for making us the most amazing wedding video we could ever wish for, you truly have made a perfect day last for ever with this memory as we can always look back on this video and remember how special this day was thanks to you and Tracy. 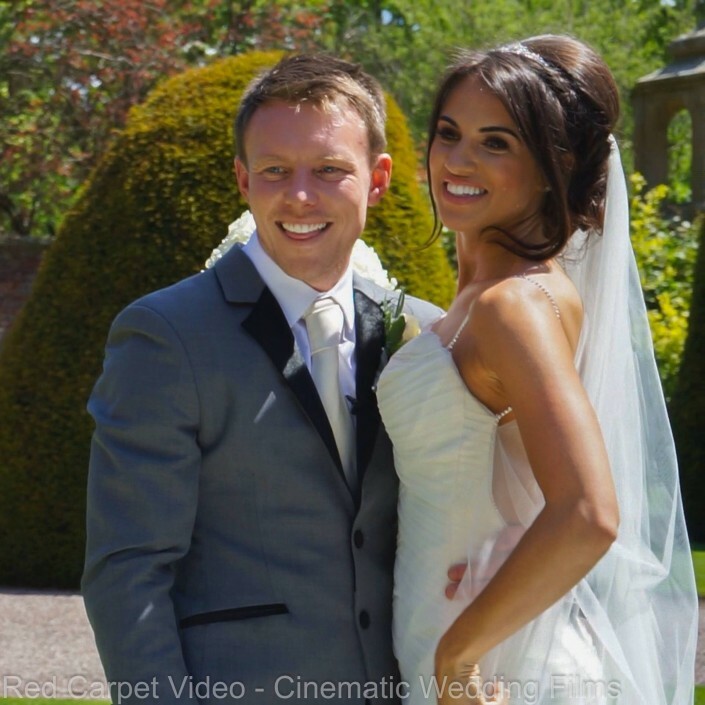 See the showreel below featuring wonderful key moments of their wedding day. 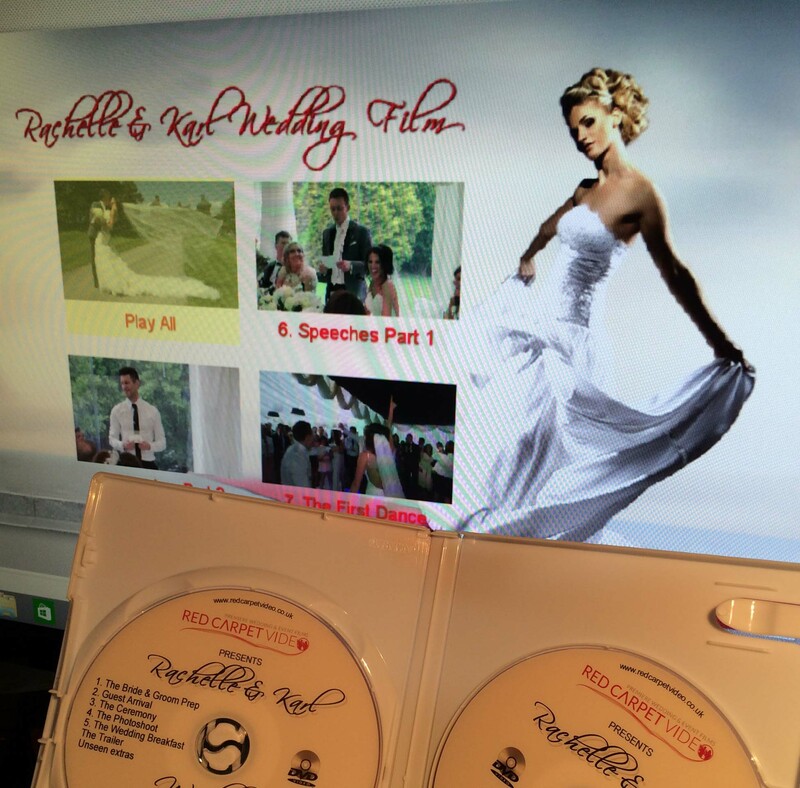 All the DVD chapters are fully downloadable on their password secure VimeoPro page and you can keep forever in High Definition the full quality copies of your footage on your personal computer. 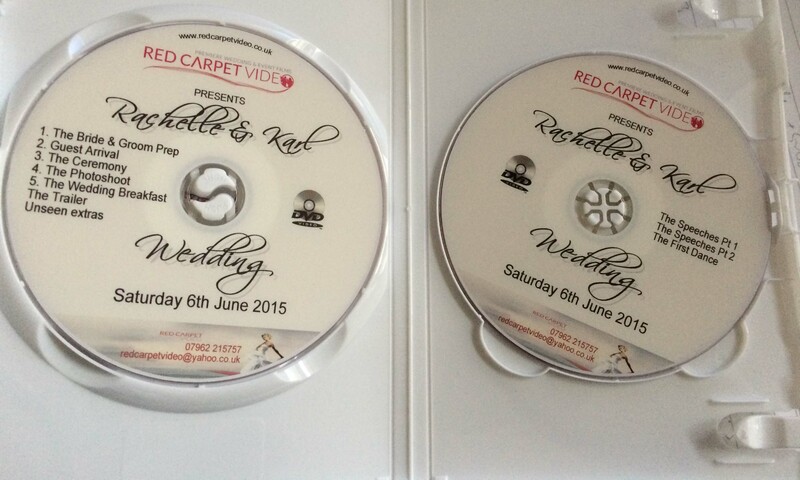 The DVD features the chosen music by Rachelle & Karl and we attach a PPL license to each DVD produced. See the Film Still Gallery below, grabbed from the High Definition and 4k Video.